You can book private ski or snowboard tuition in Bansko with us online. Private tuition gives you the great opportunity to learn the basics or improve your abilities under the guidance of your personal English speaking ski/snowboard instructor. We offer 2-hour tuition with a variety of starting hours for the service. You can book from one day tuition to up to a 6-day package. We strongly recommend children between 3-5 years old to be booked in Kindergarten or one-to-one tuition and for maximum an 1hr/day as they won’t be able to keep up with the group, because of the age difference, also they get tired easily and lose interest quickly. It is highly recommended that one party (people on one reservation) be on the same skill level. 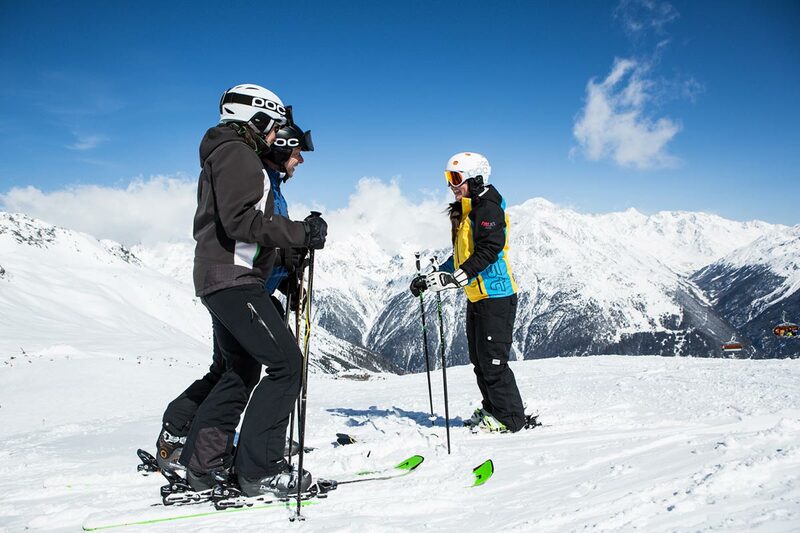 Please kindly note that there are different groups for ski and snowboard lessons, therefore it is not possible for a skier and a snowboarder to be in the same group, even if they have the same skill level. Prices: Start from 27 euro per person. Meeting point: The Meeting point is in front of the Piste Map, 10 m away from the Top station of the Gondola lift.